Every single time the odds are stacked against him, Cristiano Ronaldo manages to shock everyone and pull a rabbit out of the hat. He is 34 years old, yet he is still depicting that you can rely on him to mount a comeback or to step up in the biggest of moments. It took two headers and a penalty to score his first hat-trick with Juventus, but it came when the Bianconeri needed him the most. They lost 2-0 to Atletico at the Spanish capital and very few teams have managed to overturn a 2-0 deficit against Diego Simeone's side. 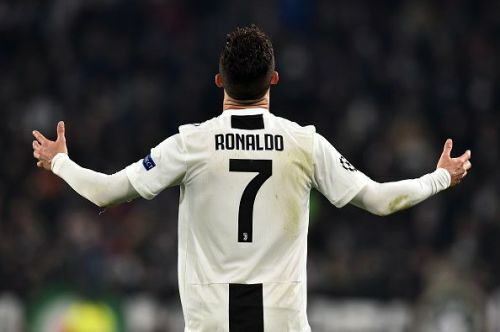 But Cristiano did just what he was brought in to do - help Juventus in their quest for European glory. Cristiano Ronaldo has scored 24 goals in 33 appearances against Atlético Madrid and it was his 8th hat-trick in the UEFA Champions League. 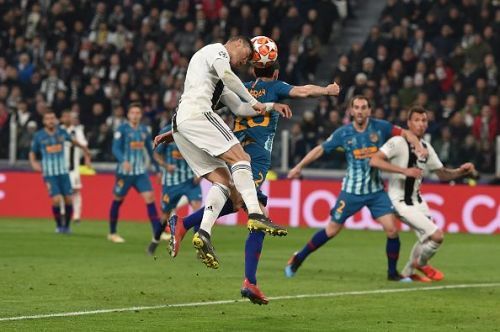 He is the only player to score 4 hat-tricks past Atletico and it is more amazing because Atletico Madrid boasts one of the best defensive structures in Europe. Without further ado, let us evaluate three reasons why Cristiano Ronaldo manages to get the better of Atletico Madrid more often than not. Cristiano Ronaldo remains one of the greatest goalscorers of our generation. It is quite staggering to see him get the job done at 34 when his legs are not as fast and as powerful as they used to be. But the Portuguese talisman remains one of the best poachers in the world, and for a good reason. The five-time Ballon d'Or winner uses his intelligence to fend off markers, which is why even a defensive set up like Atletico Madrid fails to mark him every time. His off the ball positioning allows him to be at the right place, at the right time, to put the ball into the net.